In recent decades, the paradigm of water quality management has shifted from complete prohibition of pollutant discharge (i.e. zero tolerance) to permitting limited discharge of pollutants to receiving water bodies based on the results of a risk-based assessment approach. This approach assumes that the aquatic ecosystem is able to cope with certain levels of pollutants without harming aquatic life and the health of local communities who rely on the water body for food, drinking water and enjoyment. A risk-based approach also assumes that safe levels can be defined for pollutants that do not cause unacceptable disruptions of the structure and function of the aquatic ecosystem. This approach acknowledges the presence of uncertainty associated with the current understanding of substance-specific ecotoxicity, the behaviour of chemical mixtures in the environment, ecology of the receiving waters and the ability to measure chemical contaminants in effluents and receiving waters accurately. Furthermore, a risk-based approach acknowledges that the most serious water pollutants in terms of human health worldwide may not be man-made chemicals, but rather the pathogenic organisms originating from untreated or improperly treated human wastes. In developed countries, pollution-control technologies have reduced or eliminated most of sources of pathogens in inland surface waters, thereby affording attention on other contaminants in water such as industrial chemicals, metals, and agricultural chemicals. The situation, however, is quite different in less-developed countries. In 2012, it was estimated that 37 % of the world’s population still lack adequate sanitation while 11 % of the global population could not gain access to clean drinking water (WHO 2012). From this perspective, the use of a risk-based approach that is able to focus attention on the largest water quality challenges and can confidently direct scarce financial resources to actions that will affect the largest results for protection of clean drinking water is of paramount importance. Scientists and environmental authorities are confronted with the realities facing less-developed countries, the nature of current scientific uncertainties and recognition that zero tolerance of water pollutants will likely have unacceptable economic consequences for societies striving to improve quality of life. It is self-evident, therefore, that the derivation of risk-based environmental quality guidelines, threshold values, limits, objectives and benchmarks by national regulatory authorities is gaining widespread acceptance as an appropriate foundation for national and international water quality management. The derivation of “appropriate” environmental quality (EQ) benchmarks is not a trivial exercise, and there are significant disagreements among key stakeholders involved in the process. For some stakeholders, setting a strict EQ benchmark may result in overprotection and unnecessarily increase the costs for pollution controls, both in terms of monitoring and technologies. On the other hand, adopting a relaxed EQ benchmark could result in an environment that is inadequately protected and subject to reductions in species richness and the loss of one or more ecosystem functions or services. To set the appropriate EQ benchmark, environmental authorities must carefully consider scientific evidence on the nature of the environmental threats and the natural variability of different aquatic species in terms of exposure regimes and biological adaptation and tolerance. At the same time, environmental authorities must balance environmental protection with economic costs and societal goals for continual improvement of the quality of life. National and local government authorities often emphasise the practicality of the EQ benchmark and the desire to ensure that EQ benchmarks are well above laboratory detection limits and achievable as a management goal with a high rate of compliance at the point of discharge or in the receiving water body. In contrast, industry stakeholders emphasise the need for appropriate EQ benchmarks that balance both their preferred profit margins and the measurable environmental benefits gained from enforcement of discharge limits. Non-governmental organisations and so-called green groups, on the other hand, advocate the use of stringent EQ benchmarks as the only means for achieving meaningful environmental protection. The scientific community can play an essential role in the derivation of EQ benchmarks. Researchers and scientists from chemistry, ecology and environmental science disciplines offer empirical toxicity data on the concentration–response relationship of most water pollutants of concern, objectively assess the nature and extent of the environmental hazards and provide important understandings about the behaviour and resilience of ecosystem functions and services. Though our understanding of ecosystems, particular those in less-developed countries is incomplete, scientists arguably can define environmentally relevant thresholds for chemical contaminants in water, below which the integrity and services of the aquatic ecosystem are protected. Regardless of the regulatory position or technical method for deriving EQ benchmarks, it is evident in the scientific community that “one size fits all” approach does not work for setting EQ benchmarks for chemical contaminants. EQ benchmarks must be derived that are relevant at a site-specific scale. The physical and chemical characteristics and the biological resources that define ecosystems around the world are much too variable to define EQ benchmarks applicable worldwide. That may be troubling to some stakeholders because there is general acknowledgement that improvements are needed for each of the different methods typically used to derive site-specific EQ benchmarks. Current methods include those based on understanding background environmental levels or interpretation of laboratory-driven toxicity data, chemical partitioning data, mesocosm studies and/or concurrently measured biodiversity and chemical contaminant data in the field. Nonetheless, each of these methods suffers from different limitations that contribute to uncertainties. 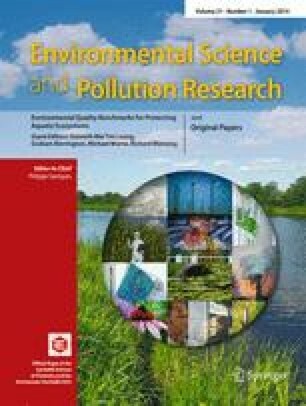 At present, many national and international environmental authorities prefer to rely on laboratory-driven toxicity data to develop EQ benchmarks because it is viewed as systematic and provides reproducible results that facilitate objective comparisons of toxicity among different chemical contaminants. This approach, however, lacks ecological realism for several reasons. First, test species often do not occur naturally in the environment. Second, laboratory toxicity tests frequently only test a single species at a time when, in fact, different species interact with each other in biological communities and chemical contaminants generally affect these interactions differently in natural habitats. Third, laboratory toxicity tests usually focus only on a particular life stage of a test species, rather than the full life cycle. Fourth, these toxicity tests often examine only a single chemical at a time, negating the fact that most, if not all, water contaminants occur in mixtures that may result in additive or synergistic toxic effects. Lastly, laboratory testing conditions are maintained in constant physicochemical conditions that do not reflect the dynamic spatial and temporal variability found in the natural environment. It is increasingly evident that field-based approaches such as sediment quality triad and field-based species sensitivity distribution methods are needed to supplement laboratory-driven EQ benchmarks and to support more informed decision making by environmental authorities. The derivation of EQ benchmarks is an excellent example of the need for continual improvement of environmental management. In fact, many countries and international organisations such as the Association of Southeast Asian Nations (ASEAN), Australia and New Zealand, Canada, China, Europe, Hong Kong, Korea and the United States routinely review and update their national/regional water and sediment quality benchmarks. New and relevant scientific information or improvements to EQ derivation methods should always prompt reviews and revisions to existing promulgated EQ benchmarks. EQ benchmarks are needed for newly emerging chemicals, and in particular, those produced and used in large volumes, or either known or suspected to be hazardous to living organisms. The presence of some chemicals in the environment is not a new phenomenon; they have only become more widely evident in the last decade because continually improving chemical analysis methodologies have lowered the limits of detection in surface waters, sediment and biota. New analytical techniques and technologies have been developed to trace the source and fate of newly emerging chemicals such as the perfluorinated chemicals, flame retardants, pharmaceutical and ingredients in personal care products, nanomaterials and constituents of marine debris. In nearly all cases, the emergence of new chemicals and materials has clearly out-paced advancements in our knowledge of their environmental behaviour and ecotoxicity. Setting EQ benchmarks for newly emerging chemicals, therefore, becomes particularly challenging in the face of inadequate scientific studies. For substances suspected capable of endocrine disruption in aquatic organisms at very low concentrations, the setting of enforceable EQ benchmarks is challenging because conventional approaches for deriving benchmarks have not been developed for endpoints involving endocrine disruption. To better protect aquatic ecosystems and human health, international collaborative efforts are urgently needed to boost the speed of research and development supporting the derivation of EQ benchmarks and methodologies. It will be beneficial if scientists from different parts of the world can share their toxicity data, exchange their expertise and experience with the derivation, application and validation of different EQ benchmarks, as well as jointly explore new ideas and methods to address unanswered questions in this research area. International collaborative efforts are urgently needed to develop EQ benchmarks that can be applied on a regional scale for use by ASEAN countries, the Australia–New Zealand region, and in continental Europe and the United Kingdom. A dialogue is needed, as well, to promote knowledge exchange among policy makers, environmental authorities, business and industrial sectors, green groups and scientists to bridge information gaps and enhance mutual understanding about the setting and implementation of EQ benchmarks. As a first step in the Asia Pacific region towards collaboration and development of EQ benchmarks and methodologies, we organised the first “International Conference on Deriving Environmental Quality Standards (EQS) for the Protection of Aquatic Ecosystems (EQSPAE-2011)” at the University of Hong Kong (HKU), Hong Kong, China during 3–7 December 2011. With the generous financial support from the Environment and Conservation Fund (ECF) of the Government of the Hong Kong Special Administrative Region, we brought together internationally recognised experts in the field of EQ derivation and application from North America, Europe, Australia, New Zealand, ASEAN countries, Japan, Korea, Taiwan and mainland China to share their experience and expertise. There were 150 delegates from 14 countries participating in this conference which consisted of 36 platform presentations, 40 poster presentations, and 2 training workshops. The EQSPAE-2011 Conference was an important first step for international, regional and local experts from government, academia and the environmental sector to exchange their knowledge and experience in EQ derivation for management of water and sediment quality and to build professional networks and research collaborations. This Environmental Science and Pollution Research (ESPR) Special Issue entitled “Environmental Quality Benchmarks for Protecting Aquatic Ecosystems” features a collection of scientific papers presented by experts at the EQSPAE-2011 Conference. The papers address the latest advancements in the scientific derivation of EQ benchmarks for several substances and their application in water quality management in different parts of the world. In this special issue, there are three synthesis papers to highlight knowledge gaps and challenges in the scientific derivation of water, sediment and tissue-based EQ benchmarks, illustrate “best practices,” and provide timely and essential recommendations of priority areas for research and international collaboration. The synthesis papers are followed by several papers that describe case studies and the latest progress in the development of water quality guidelines in Australia and New Zealand, China, Europe and Korea. Some papers are dedicated to address methodological advancements. This special issue also includes papers dealing with important practical issues such as the use of application factors to reasonably account for potential variation in temperature-dependent toxic responses to chemicals in aquatic ectotherms and approaches to the derivation of EQ benchmarks when data are insufficient. The guest editors of this special issue hope these papers are a valuable contribution to the scientific literature and useful to environmental researchers and practitioners worldwide involved in water quality management. We sincerely thank all of the sponsors of the EQSPAE-2011 Conference including the ECF; the School of Biological Sciences and Area of Excellence Centre for Marine Environmental Research and Innovative Technology, HKU; the State Key Laboratory in Marine Pollution, City University of Hong Kong; and the Society of Environmental Toxicology and Chemistry (SETAC) Asia Pacific Geographic Unit. Finally, we specially thank the Editor-in-Chief of ESPR, Prof. Philippe Garrigues, and his Editorial Assistant, Ms. Emmanuelle Pignard-Péguet, for their great support and assistance throughout the production process of this special issue.